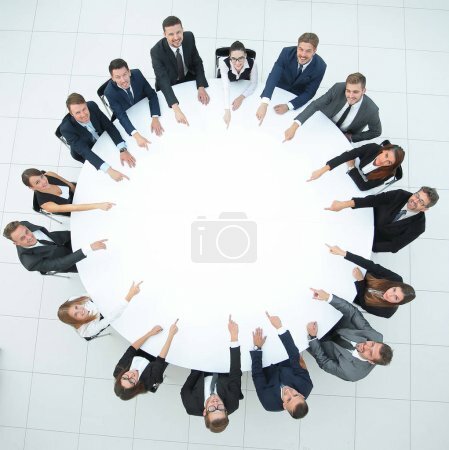 Group of business people sitting at the round table. the business concept. photo with copy space.